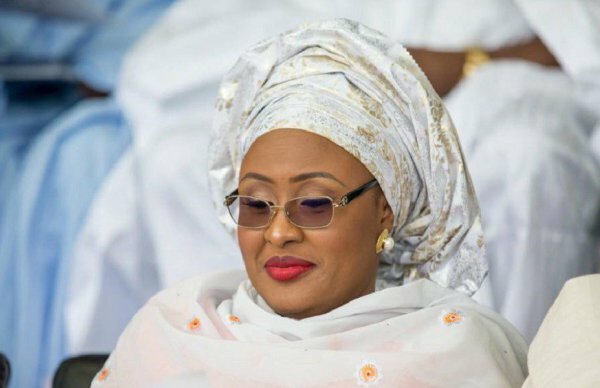 The wife of President Muhammadu Buhari, Hajia Aisha Muhammadu Buhari, has again left for the United Kingdom. According to a statement from her Media Office, Aisha left Nigeria for London on Sunday (yesterday) to visit her husband who is on medical vacation. The statement said she will convey to the President the best wishes of Nigerians and their fervent prayers for his quick recovery. She is expected to stop over in Addis Ababa, Ethiopia to make a symbolic appearance at the meeting of the Organization of African First Ladies against HIV/AIDS on Monday. Hajia Aisha Buhari will join other members to celebrate the 15th anniversary of the organisation and use the opportunity to reiterate the voting rights of Nigeria in the upcoming elections of the organisation. She will continue her journey to the United Kingdom on Tuesday.